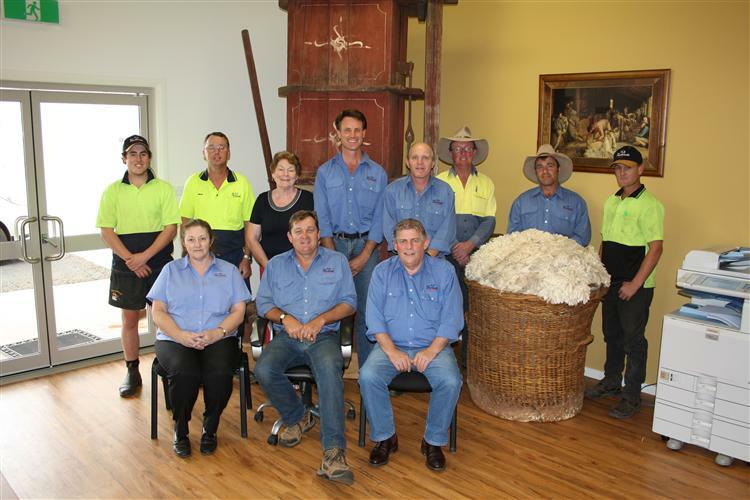 Here at Macdonald & Co Wool Brokers we aim to get the grower the best return possible. We offer a truly personalised service from when the wool comes off the sheep’s back right up until it is sold and shipped. Our NSW technical manager, Ian Sharp, who is based at Yennora Wool Centre, types every sample and ensures everything is the way it should be and with our experienced team of auctioneers and valuers we are able to put accurate valuations on all your clip, and fight to get the best price possible when it goes up for auction. Our show floor is centrally located within Yennora Wool Centre. Our team have an excellent relationship with the buyers. 95% of all business goes to auction in Sydney sales, which includes main lines and interlots. Our rehandle facility has over 80 bins and caters for all wool types, which allows us to pay the best price possible and makes us the most competitive when selling wool though private purchase. We pride ourselves on professionalism and producing a truly personalised service for all our clients. Whilst ever you have wool with us, you have a 100% guarantee your wool is in safe hands.